But, what is interesting, is to understand that the fancy dresses could either be rented from a local market, bought online or the easiest way to go about it is to make it at home. 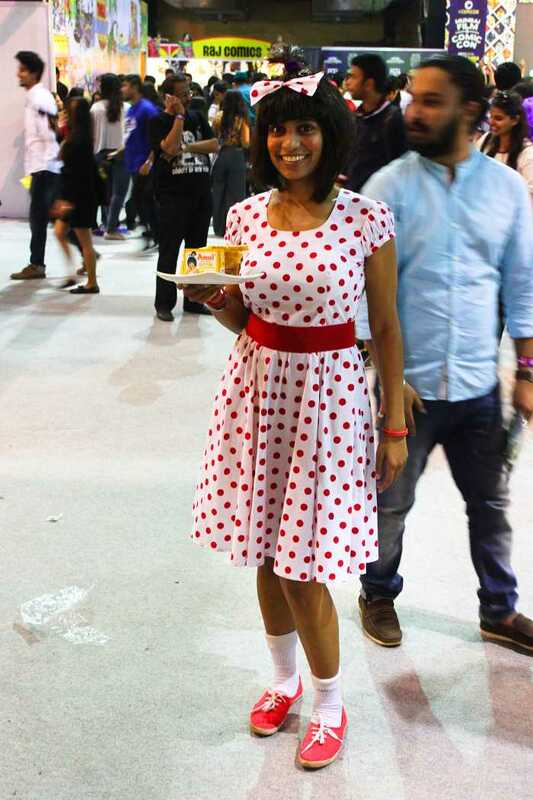 Most of the fancy dress ideas are easily doable and could be done at home with very little cost. 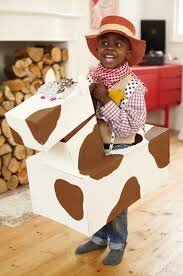 It’s fun to get creative beyond the boundaries to see your little wonders jump out of excitement as they are dressed into fancy dress characters of their choice. Requirements: A large plastic bag, a marker, small balloons and a ribbon. It is an absolutely DIY project. In this, a large bean bag which is the plastic bag is taken. The balloons of different colors are blown and kept aside. Mention the ingredients on the plastic bag with a marker. Carefully cut the legs holes and arm holes through the plastic bag and make your child step into it. Then, fill it up with balloons and loosely it around the neck with a ribbon. This is what you can make at the back of the jelly bean bag for it to look real. You can just randomly mention some figures for each of these break ups. Take a chart paper and color it black. Cut it into a long rectangle which can fit your child vertically. Cut three big circles and color them as red, green and orange and paste them on the rectangle. Make your child wear full sleeved black shirt and pant and attach or paste this rectangle on the shirt. This is easily doable at home. A top which has deep cuts and is sleeveless, A short skirt preferably with curve edge at the bottom, curly long hair left open, a tiara, flowers could be used as earrings, a garland made of flowers. It’s very exciting and a lot of fun for kids to dress them as a hot air balloon. It is extremely doable project for you. Any big size balloon (keep one more ready in spare just in case somebody pricks it), a soft wooden basket, threads, onesie. 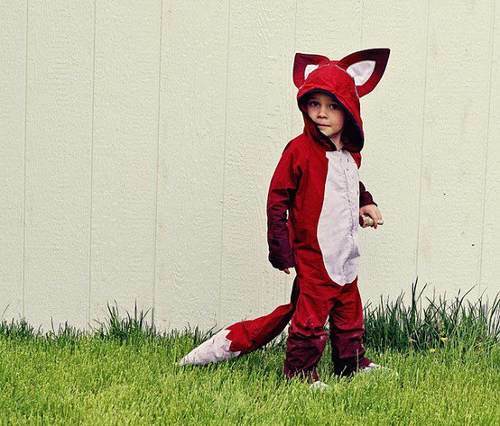 Dress your child in onesie. Blow up the balloon and attach four different long strings to it. Draw two leg holes in the wooden basket and stick a few layers of cello tapes so that the sharp edges of the holes do not hurt your child. Make your child wear the basket below as pants and attach the four strings of the balloon to the basket. And, stuff in some fabric inside the basket to fill it up so that it sticks on to your child well. 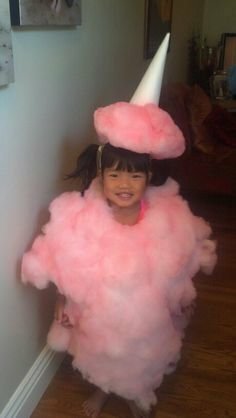 One of the rarely tried yet very easy and fun options for fancy dress is dressing your child up as a cotton candy. For this, you would need a big sized plastic bag and just stick pink colored cotton on it. Cut two holes for legs and two for arms in the bag. Make him or her wear the plastic bag first than start stuffing in cotton and then tie the bag around the neck loosely with a thread. Your cotton candy is ready. Yet another favorite of small kids, Barbie is liked by one and all. 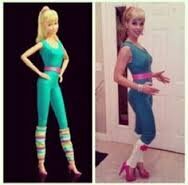 It is very easy to dress your kid like a Barbie. The only challenge here is to get the hair done in line with Barbie’s style. For this, you could buy a wig online in Golden color like that of a Blonde’s, you need a pair of tights in multicolored prints preferably till just below knee length, An off shoulder plain top to match up the tights, A matching hair band or a rubber band to tie around the pony either at the back or on the side. This is yet another exciting unique fancy dress option. Kids love milk and Cheese and they are able to relate with Amul brand. 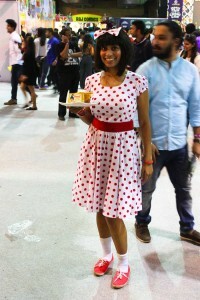 Any polka dotted frock till knees or above with a matching bow. Simple as it sounds you just need to do her hair the way it is shown. A small pony on the top with loose hair on all sides is all that is needed. Your girl would look too cool as Punjabi girl. Punjabi girls have typical dressing style and wear colorful dresses. Make sure you make her wear a Patiala with dupatta. She should wear a bold bright lipstick like red or pink, a long pigtail is needed to be attached (The braids should start from top), plenty of bright colored bangles for both the hands. 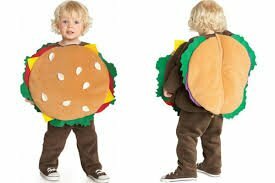 One of the unique yet most exciting options is to dress your child as a cheese burger. Felt in yellow, green, red and beige colors, Sewing kit, brown onesie of your kid’s size, Velcro. Cut the yellow felt in square shape big enough to cover your child’s body, cut the red felt in small semi circles and stitch them on all four sides of the square, cut the green felt into uneven edges to cover all the four sides of the square. Then, just add Velcro to all the separate pieces and stick it on to your cute baby wearing brown onesie. Make sure you add the beige felt on the top. The sunflower costume could be bought online or could be hired or bought locally. 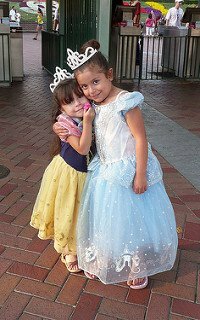 Baby girls would love to be dressed as princess. Arrange for a really nice long frock or gown till floor length, little make up like lipstick and small earrings would make the costume nice, a tiara or a crown is available with any big multipurpose stationary stores. Fairy is another fascinating option to try out. You can arrange some of the accessories from outside and the rest is doable at home. Large wings to be worn at the back could be shopped online or arranged locally, a matching long frock or gown, a crown and a magic wand. Magic wand could be made at home, take a stick and wrap it with golden or silver gift wrapper depending on the color combination of your kid’s costume. Cut the gift wrapper into a big square and make thin pleats out of it. Tie it in the centre and make another similar set. Put one horizontally and the other vertically over it and stick them or staple them together. It is the top of the magic wand and just attach it to the stick with a cello tape. 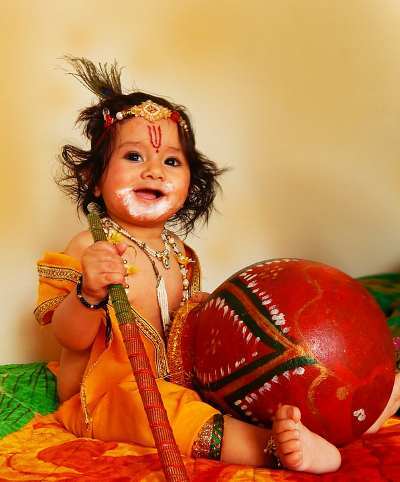 One of the most popular options for fancy dress is Krishna. It is very easy DIY costume. Requirements: Safe edible blue color, a garland, some jewellery for hair, earings, bangles and anklets, a flute, a crown (with peacock feather preferable or you can fix the feather yourself), yellow dhoti, eye and face make up accessories, a small matka, a white cloth to tie around the top of matka. Smear the blue color on the upper body of the kid, including the face except around the eyes. For the eyes, you would need to do a bold make up with golden shimmery touch. Tie around the dhoti. Put on all the accessories and dress up the child. Fix the peacock feather on the crown with a cello tape or glue. 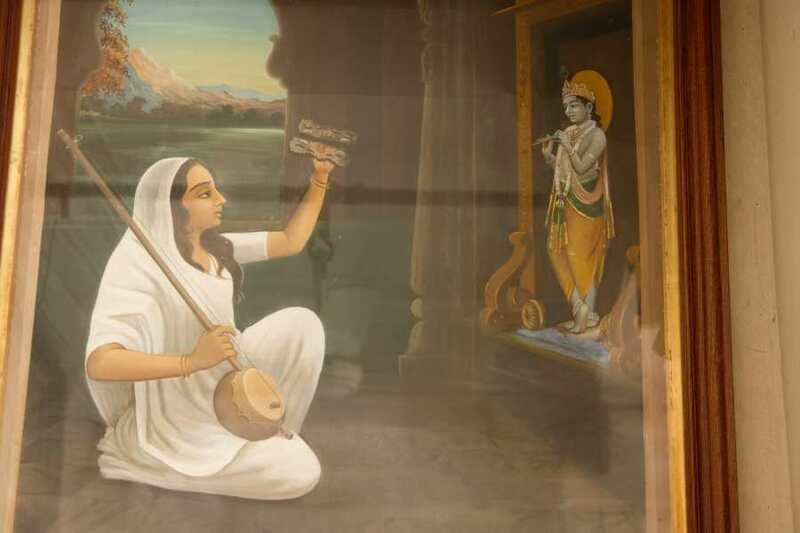 Dressing as Radha is absolutely doable at home. You can catch hold of any traditional ghagra choli of your child and arrange for the accessories to match up. Lehenga or ghagra choli, bindi, eye makeup, ear hangings, garlands, lipstick and payal. Dressing as Lord Shiva is very exciting and makes your child the centre of attraction. Though you will have to put up a lot of hard work in this particular costume but the end result is amazing. It is better to arrange the costume for a local fancy dress shop or to buy it online. 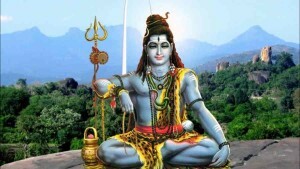 Edible blue color to smear all over the body, a wig that comes with Shiva’s costume, a rudraksh bead as a garland around the neck and as anklet and bracelet to be worn in legs and hands respectively, an artificial snake to wear around the neck, a tilak to smear on the forehead. It is recommended to buy the costume online or from a local shop. 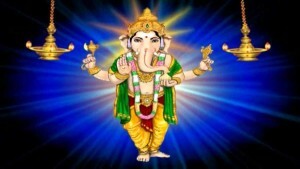 Lord Ganesh is one of the most loved Gods by kids. 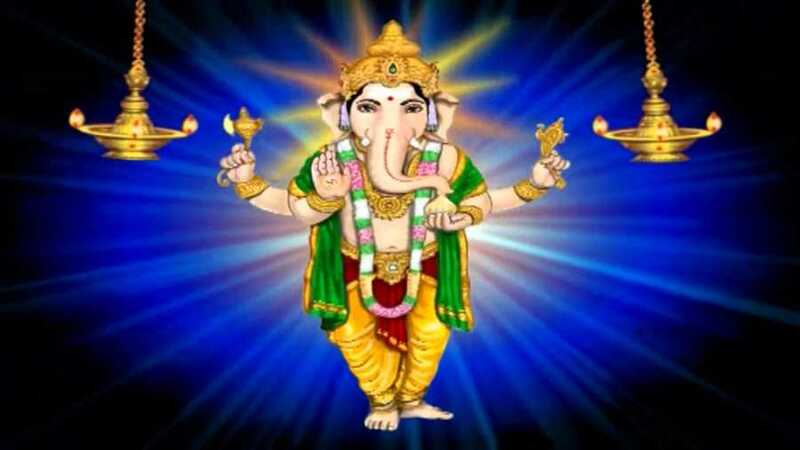 Though Ganesha’s costume could again be made at home, yet it is advisable to buy it online as the mask cannot be made easily at home. 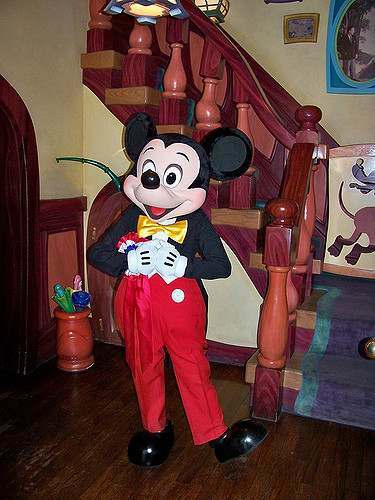 You could also hire the costume for a day from the local fancy dress shop. 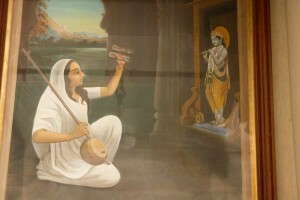 A plain yellow or white color cotton saree to be draped with rudraksh beads around the hands and the neck, a white bindi to be smeared on the forehead, some natural earings made of flowers and a toy sitar. Sitar can be bought online or can be hired for a day from a local shop and the rest of the costume is pretty much doable. 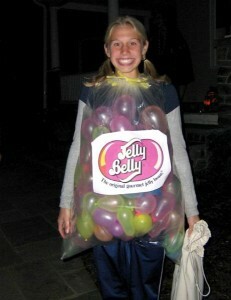 This is again a very easy doable costume for you. Arrange a yellow dhoti, a white tika to be smeared on the forehead, a dhanush and a wig. Wig and Dhanush need to be arranged from a local fancy store or could be bought online. 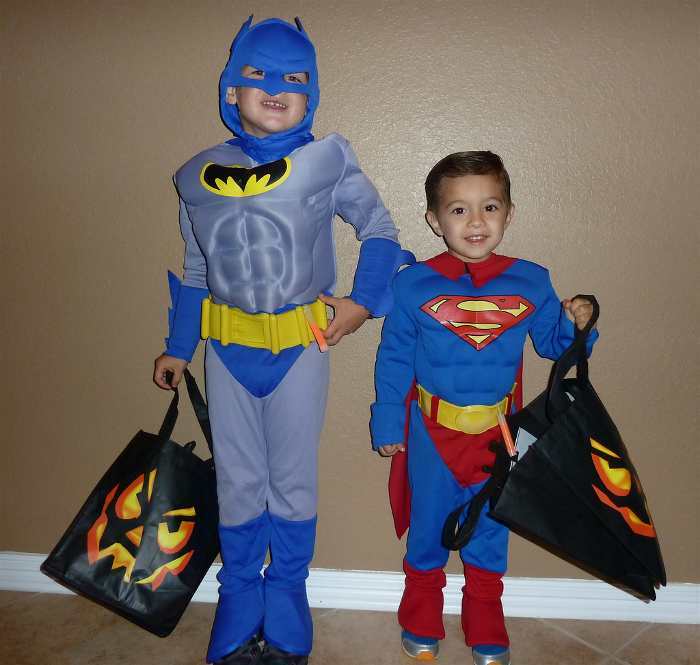 All kids at around three years and above love to become a superhero. The costumes for this are readily available online. You could also walk into any of your local market where you get good options for fancy dress to buy one. 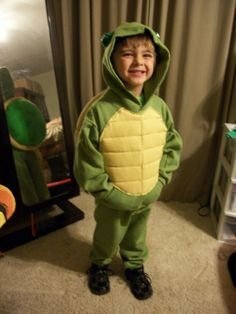 You get really cheap costume online which could be worn once or twice and also a good quality one that can be passed on from one child to another in the family. It tops the list in terms of popularity. 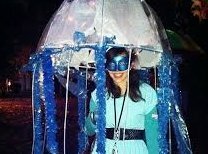 It is an extremely easy do it yourself at home costume. Alternatively you could buy it online from websites like Alibaba. 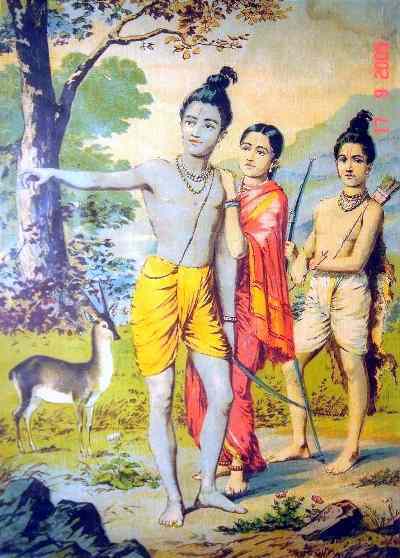 Orange cloth or dupatta to be tied as dhoti, A long red color tilak to be put on forehead, two yellow color tight fit bracelets and one black thread with a simple yellow homemade pendant in between. You can make a yellow cloth pendant by stitching the cloth in rectangular shape and sticking it to the center of the thread. 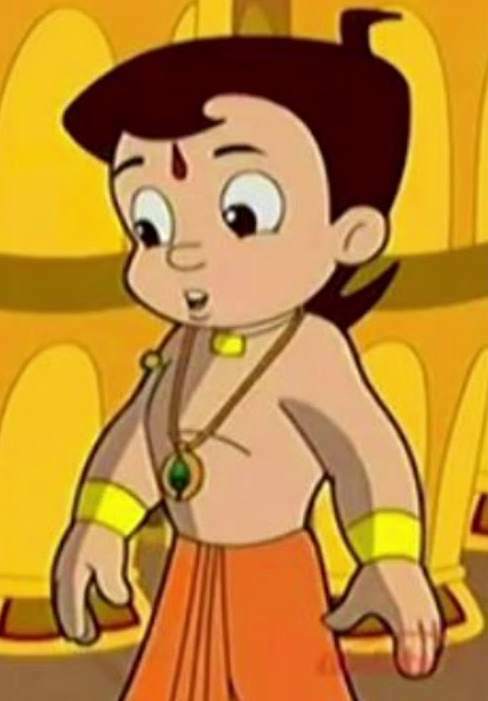 Chutki is another popular character from chotta bheem series. It is very easy to make Chutki’s costume. A plain lehenga of cotton without dupatta, two pigtails to be made with red ribbon, a big red colored round bindi to be put on the forehead, pink lipsticks or shadow to be put on the cheeks as shown and a pair of plain bangle. Mickey Mouse is loved by small kids a lot. The costume necessarily needs to be bought either online or from a local fancy dress store. Donald Duck is another popular cartoon character for kids. Buy the costume online for this. It is loved by boys and they look up to Batman for his extraordinary skills. The costume could only be hired from a local shop or could be bought online for very cheap. 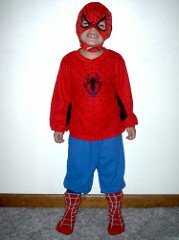 Spiderman is another fictitious cartoon character which is kids’ favorite. It is easy to buy this costume online for very cheap from stores like Alibaba. 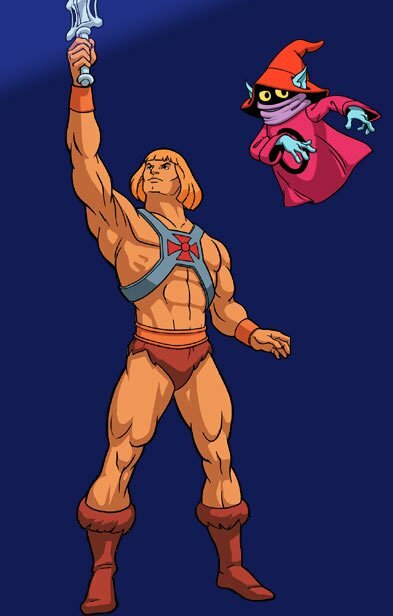 Boys would love to play He man for fancy dress if they know what he is known for. The costume has to be bought either online or from any of the local shops. The father of the nation is one of the most sought after characters for fancy dress. 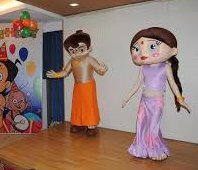 You can dress your child up as Mahatma Gandhi for Independence Day fancy dress competition or in any other regular open theme fancy dress competition. 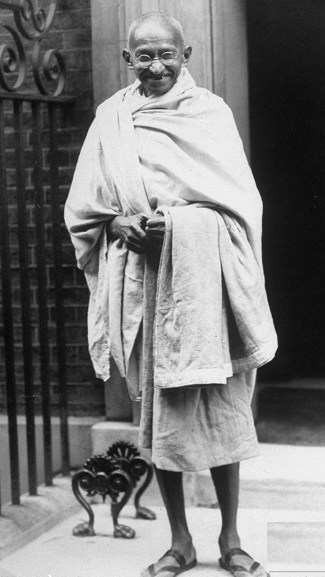 Dressing as a Mahatma Gandhi is one of the easiest DIY costumes and can be done in just a few minutes. A white cotton duppatta or lungi that can be tied as a dhoti, a round shaped spectacles, a stick and multani mitti or chandan to smear on the head to give a bald look. Jhansi Ki Rani is yet another amazing option to dress your child up for fancy dress. It is extremely easy and again a DIY project. She was an epitome of courage, boldness and independence. A lot of women got inspired by her and took to freedom fighting. 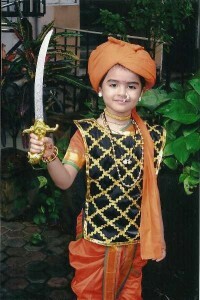 A saree draped in Maharashtrian style, A turban made of cotton dupatta, Liquid bindi to make half moon shaped bindi, A necklace and a sword. Only a sword needs to be arranged from any local fancy dress prop store or could be ordered online as well. 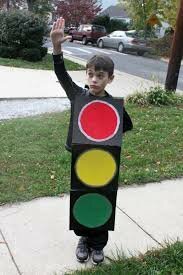 This is unique Independence Day fancy dress theme for boys. 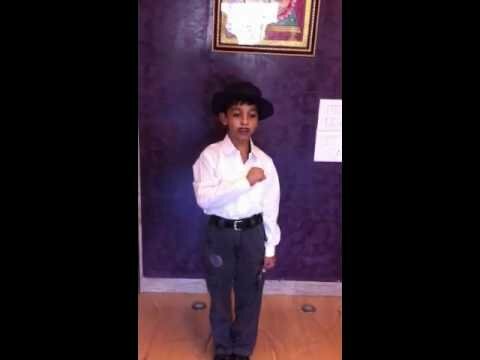 You would not see too many kids dressed as Bhagat Singh. 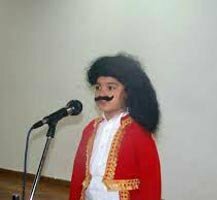 ‘Inquilab Zindaabad’ is the slogan you should teach your child while dressing him or her as Bhagat Singh. A big hat, a big mustache and a shirt and one pant is all that is needed. It is very easy DIY costume provided you can arrange a hat. The mustache can also be drawn using an eye pencil. For this, you would need shoulder length hair wig, a dhoti and a big mustache. If your child’s hair is long than you can tie them in to bring them up to shoulder length; and if it’s shorter than you may have to use a wig. Wig could be arranged from a local market or a local fancy store. Most kids just love dogs and wish to own them as pets. Dog costume should be bought either online or hired from a local fancy dress shop. 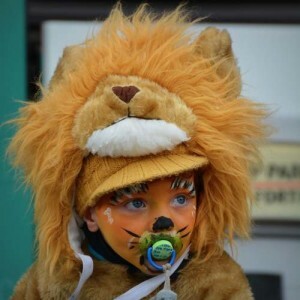 One of the favorite animals of the kids, making your child dressed as lion is a lot of fun. The best part is that the costume is doable at home and it is so much fun. Take some thick jute rope. Cut it into 12 cms pieces or little longer. Color this using brown and yellow paint. Let it dry. Then make big holes on the cap to let this jute pass through. Tie the knots inside the cap to hold the jute threads. Cover the entire cap with these jute ropes or you could choose to cover the front only. Your major part of costume is ready. Just match it with a brown and mustard shirt and a legging. Alternatively: You could go for a synthetic yarn available in the shops. You could get it at any fabric and craft store or you could buy it online on any website dealing with knitting and related accessories. It is a unique fancy dress option and extremely easily doable at home. Requirements: An old umbrella, long strips of plastic sheet or preferably a bubble wrap, stapler/glue/tape. Make your child wear anything that goes along well with the color of the umbrella. Rest can be understood from the picture below. 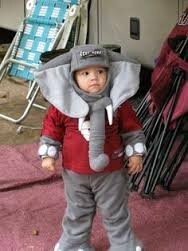 This is yet another very cute animal character for fancy dress but sadly not many kids are aware of it. 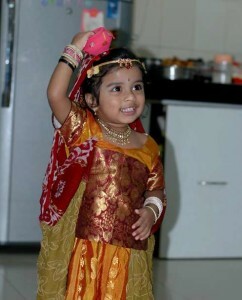 But, it would be an instant hit in fancy dress competition and your kid would love to enact this. Of course, the costume needs to be bought online or could be shopped or hired from the local market. Playing fox in fancy dress is fun and tricky. You could scare others with the scary howl. The costume should be bought online or locally. 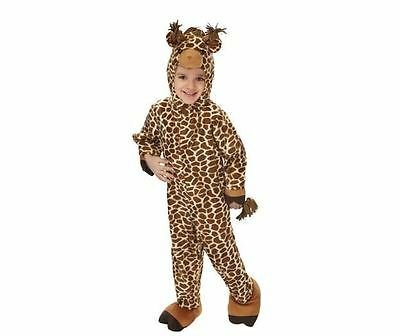 Giraffe is loved by all kids for its unique height and friendly behavior. You would find your kid jump out of excitement when he spots a giraffe in the Zoo. Your kid would love playing Giraffe for sure. The costume needs to be bought online or purchased locally. 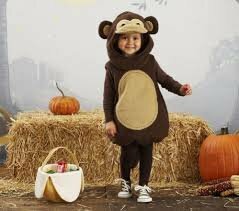 Monkey is again most chosen animal character for fancy dress. You could do the costume at home easily. 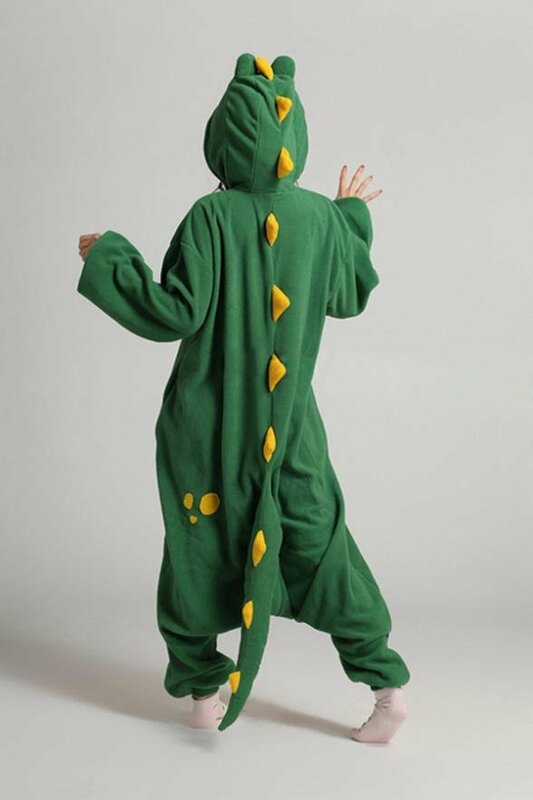 A brown colored onesie and a long tail at the back which could be home stitched or could be shopped online, a black sketch pan to draw whiskers on the face. A brown matching cap made of fur or velvet. Though crocodiles are damn scary but it’s fun to dress your child differently for each fancy dress competition. 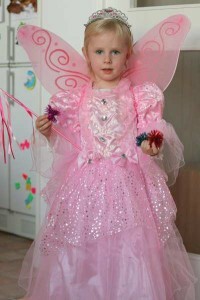 The costume is very difficult to be done at home and much easier to shop online. One of the friendliest creatures on earth, this guy again appeals all the kids. You could buy the costume online to make it easy. 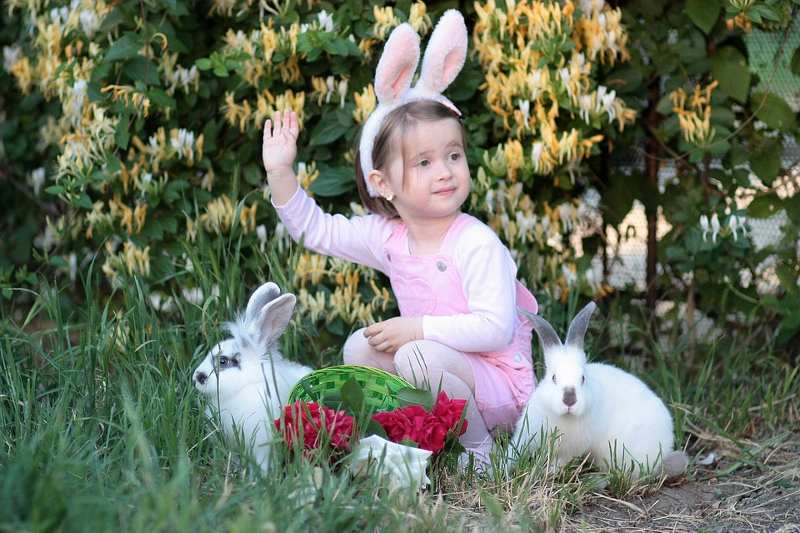 Rabbits can always carry a carrot in hand and grab a bite or two when enacting it on stage. The costume is easy to be done at home. A pure white or light pink onesie, one hair band and a flexible sturdy wire to attach on it, little flex or fleece is needed. Attach the wires on the hair band to attach big ears on it. The length of wires should be six inches at least. Cut through the fleece or flex drawn in Rabbit’s ear’s shape and stick it on the wire. You need to shop the costume online or could be hired from a local store. Fruits are one of the favorite categories of the kids. 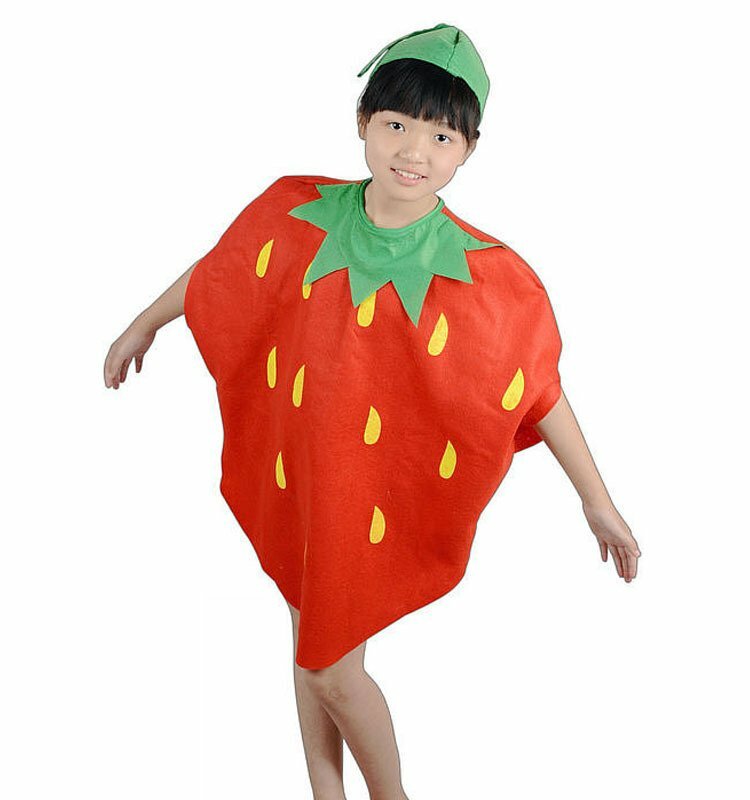 All kids would love to dress as their favorite fruits. Here, are some really exciting fancy dress ideas for your kids when it comes to dressing them as fruits. 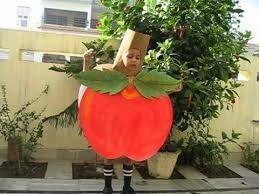 Apple is indeed one of the most loved costumes by kids. If you want it easy then you can just walk in to any fancy dress store on rent and can hire the costume for a day or two. Alternatively, you could order it online as well. But, if you like to do some arts and crafts than it can come as an easy DIY costume. One big size chart paper, red water/oil color and green water/oil color, stapler, shorts and one inner. Take one big sized chart paper and cut it into two. Take each half and put it on your child’s front body to check for the size of apple needed to cover the body. Draw a large apple on the paper big enough to cover the child from beneath the shoulders till knees. Cut it through and color it red. You could also draw two leaves on top and color it green. Draw exactly same sized apple for the back as well. Make the child wear only shorts and deep cut sleeveless shirt. But both the paper together over the child and staple them. 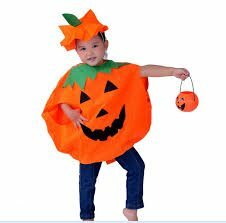 Your child will look very cute dressed as a pumpkin either follow DIY process mentioned for apple or buy the costume online. 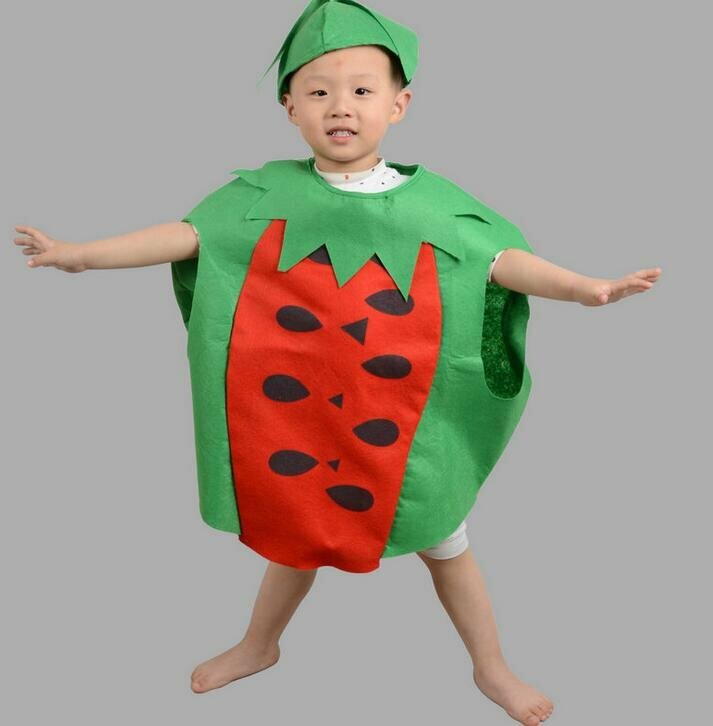 It is a great option for your kid to dress as a watermelon for fancy dress competition. The costume needs to be bought or could be DIY and the process is same as that mentioned for apple above. It is very easy to do grapes at home. The kid would also love being grapes on the stage. You need small sized balloon either in purple color or green color depending on availability and your child’s preference. These balloons can either be shopped online or could be bought from a local stationary or a fancy store. 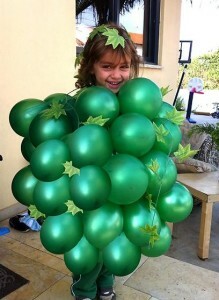 Just blow up around 15 balloons and tie them together with a thread to make them appear as a bunch of grapes. Attach one long thread horizontally to tie it around the child. Finally fix this bunch on the child’s dress on to the child’s dress from top and bottom and from the sides. Strawberries are loved by all kids. For this you could buy a polka dotted pink colored onesie, or a felt in pink color which is cut in two pieces into strawberry shapes and attached from front and back on the child, a bow in green to be tied on the hair. Alternatively, you could shop the costume online. Alternatively, you could buy a costume online. 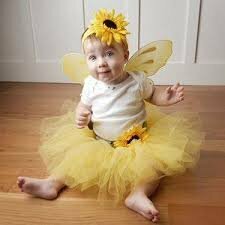 For this you will need a yellow and black color felt and the process is same as above or alternatively you could choose to buy the costume online. 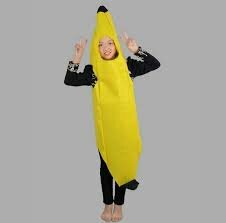 Banana is difficult to do at home so it is advisable to buy the costume either locally or online. You could choose to make a costume of paper and the process is similar to one mentioned for apple above. 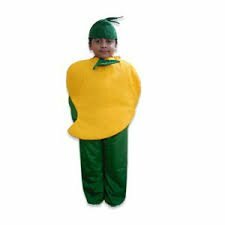 Kids look really cute when they are dressed as pineapples. The costume needs to be bought online or locally. 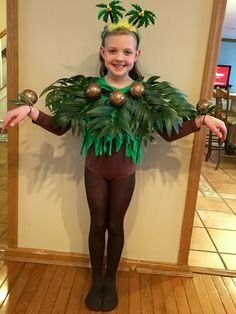 How to prepare your child for fancy dress on stage? Make him/her practice the lines in front of the camera without the costume first. Once he has learnt the lines, then try it on with the costume. 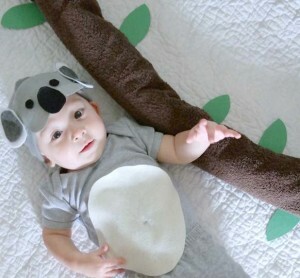 Record videos and show it to your child and make him practice it over and over again with the costume on. Facing the camera will help him face the crowd easily while he or she is on stage.